What routines do designers need to establish to implement Variable Fonts? And how could a new model of shared authorship support creativity and knowledge exchange? Verena Gerlach, Malou Verlomme and Fred Smeijers joined forces on a panel at TYPO Labs, hosted by Gerry Leonidas. 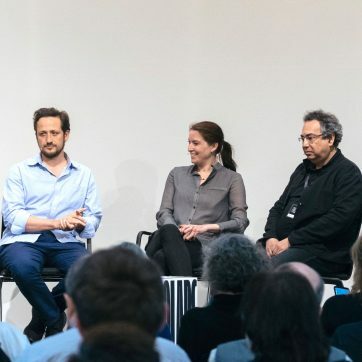 The four discussed the current state of the industry, new tools, and working methods, collectively expressing their longing for the “good old” manual processes in a fully digitized world. Glyphs, RoboFont and Fontlab annually take center stage at TYPO Labs, but there’s more to see in terms of tools than just the font editors. New or improved, finished or in progress, command line or polished interface: here’s the cast of tools at Labs, in order of appearance. 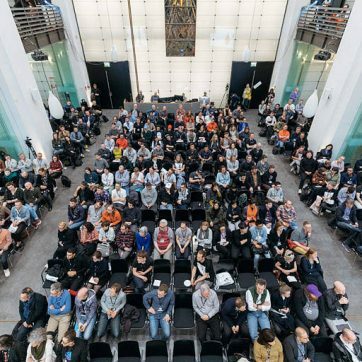 While at last year’s TYPO Labs Variable Fonts were introduced as the great innovation, this year another big topic was treated in several talks. 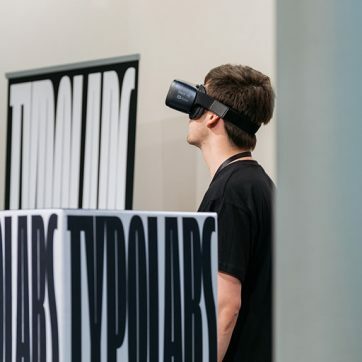 The Augmented and Virtual Reality environment is becoming more notable for many programmers and designers requiring special attention when it comes to text and type. Those of you who have been to a TYPO Berlin conference before 2010 know, that one of the highlights after each conference was — when the DVD with selected TYPO talks came home by postal services worldwide. 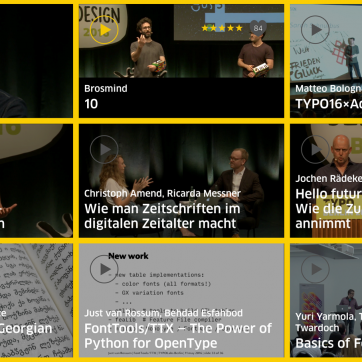 Since 2011 we don’t burn DVDs anymore; all TYPO talks (in Berlin, London, San Fran) that got recorded can be found in our TYPOtalks video archive. 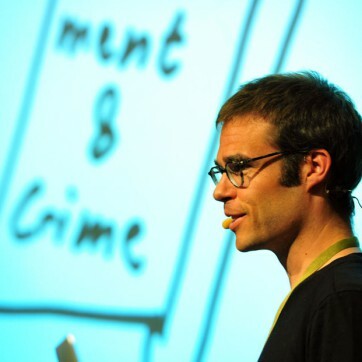 By now we have over 300 design talks online and each year we add around 30 new videos. 300×45 minutes = 225 hours of video material. Because this is a lot of time you’d need to watch through this, we now start to bring you selected content. Every month (until we get tired in doing so) we will select 5 talks under different topics. Hope you like it. Off we go – with the hidden gems. TYPO speakers, that are not so well-known but truly suprized us. 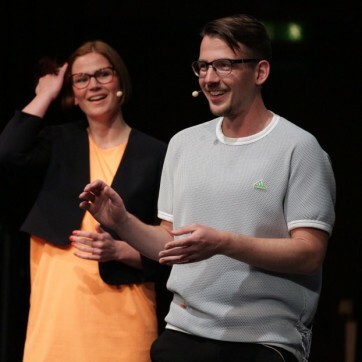 Marcus Wendt and Vera-Maria Glahn from FIELD take us on a journey through their work in generative design. By connecting emotions, failures and lessons learned, they reflect on their position between being designers and artists. 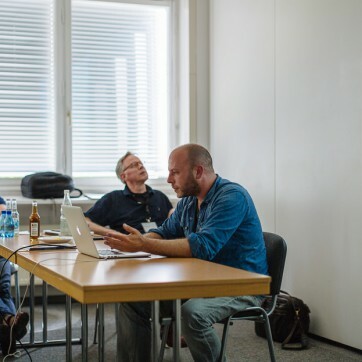 During the DTL/URW++ session at the TYPO Labs conference on Wednesday 11 May 2016, Lukas Schneider gave an interesting talk on the LS Cadencer and the related LS Cadenculator (batch) ﬁtting/auto-spacing extensions he has written in Python for Glyphs and RoboFont. 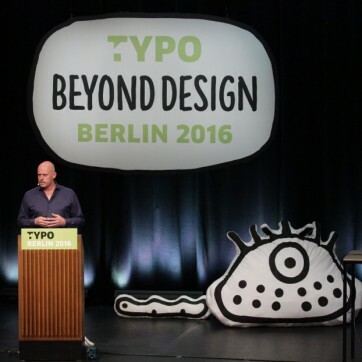 Das Thema der diesjährigen TYPO „Beyond Design“ interessiert Jochen Rädeker eindringlich: „Was ist denn nach dem Design?“, fragt er bestimmend ins Publikum. Doch stellt sich hier die Frage, ob „beyond“ nicht weit mehr als „danach“ bedeuten kann. TYPO Labs: RoboFont – Maybe there is no magic? 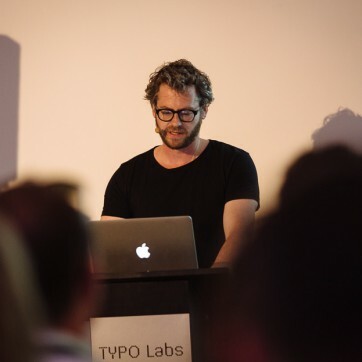 During the TYPO Labs, Frederik Berlaen presented a new set of features shipped with the last Robofont version released just in time for TYPO Labs. There is brand new stuff under the hood and it is much faster. In this presentation, Berlin-based type designer Ralph du Carrois presented a useful kerning plugin for Glyphs – one especially helpful for working with multiple master fonts. Jürg is a designer, artist, engineer and, above all, an entertaining person. And he has a witty way of connecting it all. 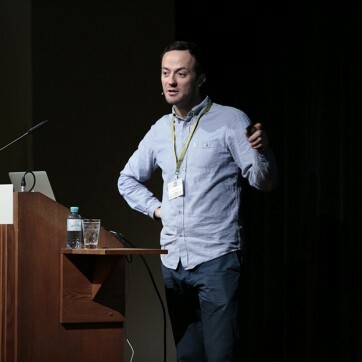 A fascinating journey into generative type design with Eike Dingler. Building letterforms by filling geometric shapes with geometric patterns. Lead UX Strategist at Fresh Tilled Soil, Jason Pamental is passionate about bringing digital products to life with typography. 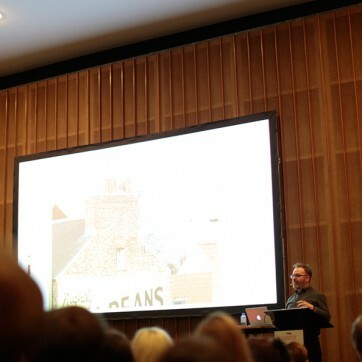 He has written books about responsive web principles and this years TYPO attendees were lucky enough to get the low-down as to how these principles can be applied.